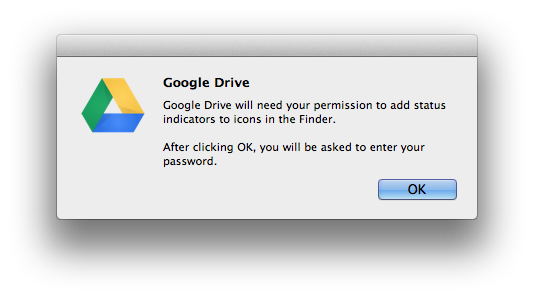 I had Google Drive pop up an interesting dialog today asking for my permission to add status indicators to icons in the Finder. 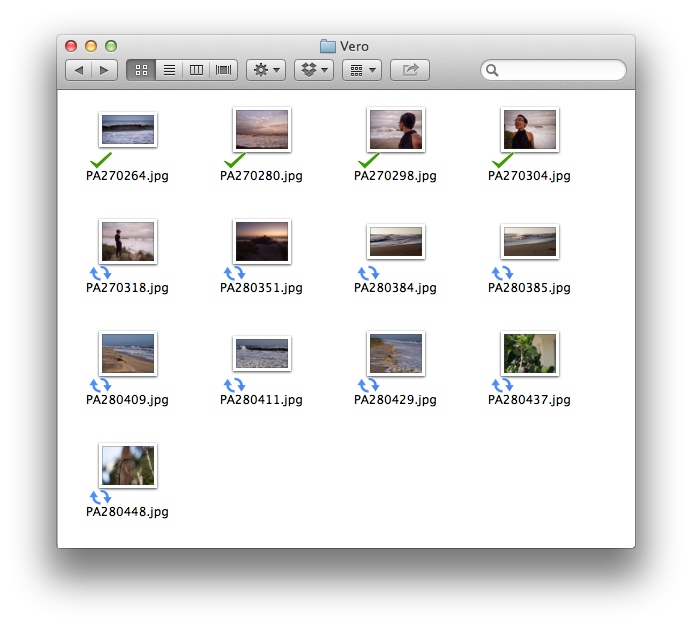 I think this is a play to make Drive more like Dropbox, which uses icons to show the status of files in the Finder. I gave my permission and then checked my Google Drive folder to see if anything changed and after a few minutes it looks like I was exactly right. For reference, I’m currently using version 1.5.3654.0684. They still seem a little buggy because I noticed after dragging that folder of photos into my Google Drive that they all initially had a green “synced” check icon and then all switched to the blue refresh icon and finally each updated back to a check as they were synced. They also don’t appear to update in the background, I had the window out of focus and thought progress was stalled, but clicking on the window updated all the icons to show sync was complete.